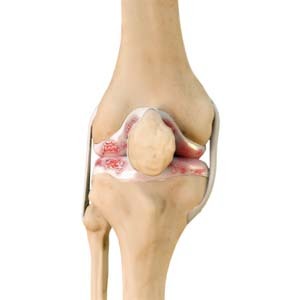 When the articular cartilage wears out, the bone ends rub on one another and cause pain. This condition is referred to as Osteoarthritis or "wear and tear" arthritis, as it occurs with aging and use. It is the most common type of arthritis.